The tall, thirtiesh man clad in a 1980s-era uniform of a Czechoslovak army officer approached me at the reception desk of the Hotel Jalta on Wenceslas Square. 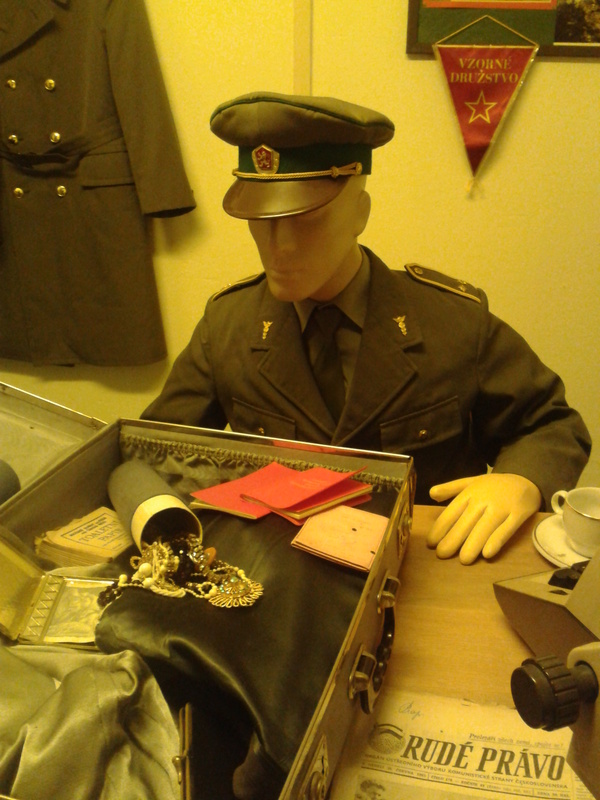 He introduced himself and said he would be my guide through the Museum of the Cold War. This was my first visit to the five-star boutique hotel, but I knew it had catered to Western tourists long before the Velvet Revolution of 1989. I had often passed by the 1950s style building so strongly influenced by Soviet architecture, taking for granted that it was part of the cityscape of Prague. 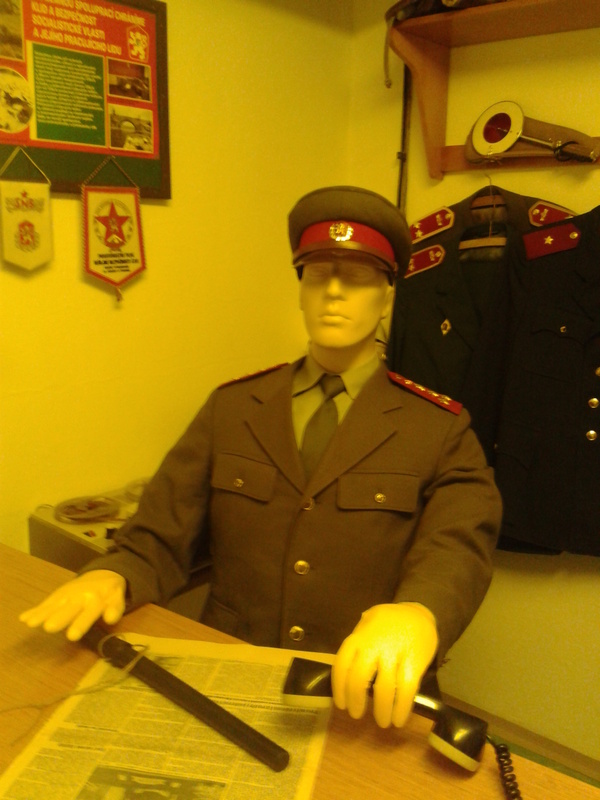 I have to admit that seeing the guide in a Communist era uniform made my stomach lurch as it brought to mind the rigid authority and terrors of the totalitarian regime that had lasted for some 40 years in former Czechoslovakia. 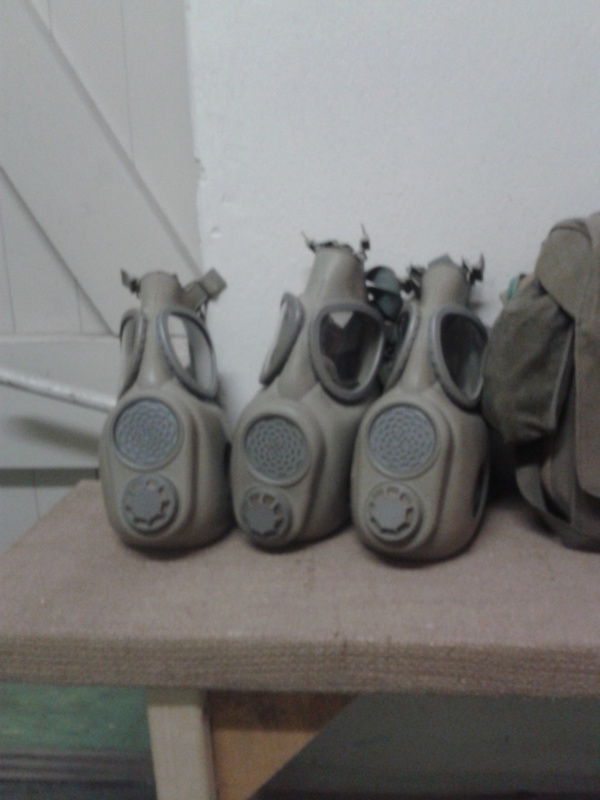 I followed the fair-haired, smiling man down the stairs until we were about 20 meters below the hotel, in spaces that were once part of an anti-nuclear bunker. 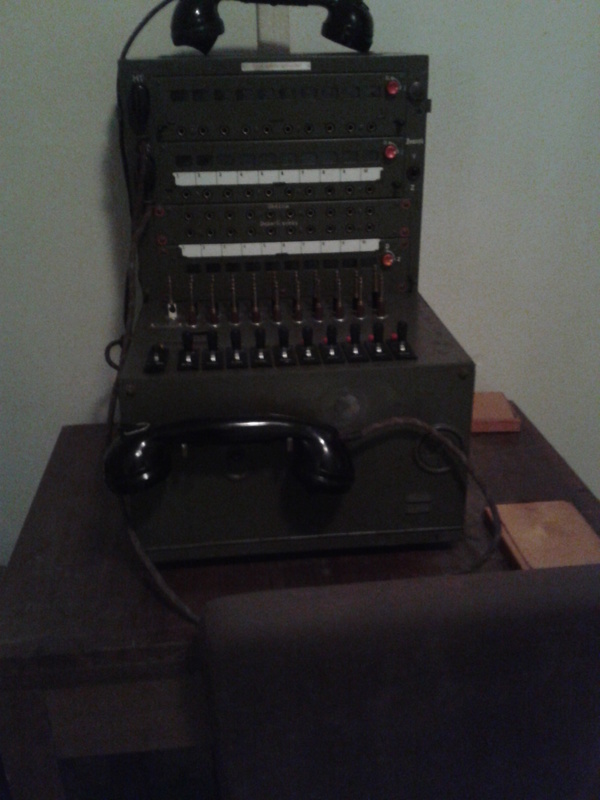 When we reached the museum, the guide described the bunker’s design. Currently, there were only several small rooms with displays, but the bunker itself, completed in 1958, consisted of three floors. It was made specifically to protect about 150 high-ranking Communist officials for as long as two months, if nuclear war was declared. The guide talked about the history of the Hotel Jalta. It was constructed from 1954 to 1958 on the site of a building that was bombed by the Allied Forces in 1945. The spaces belonged to the Ministry of Defense until 1997. 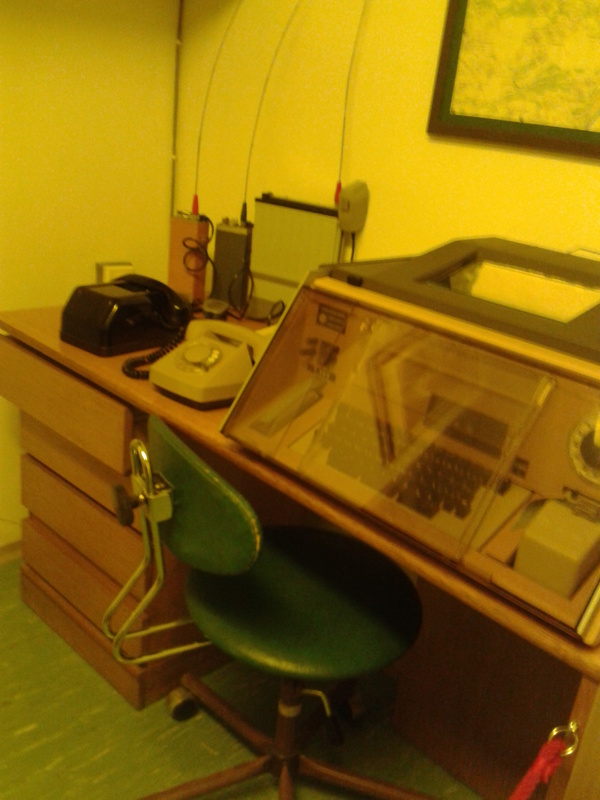 Now the hotel owns the bunker. The museum was relatively new; it had opened in November of 2013. Nuclear war never broke out, but the Communists did set up a listening post on the premises. The Secret Police listened to conversations of hotel guests and employees. They had planted bugs in the rooms. The guide explained that steel slabs were constructed to protect people from radiation. The concrete walls were two meters thick. 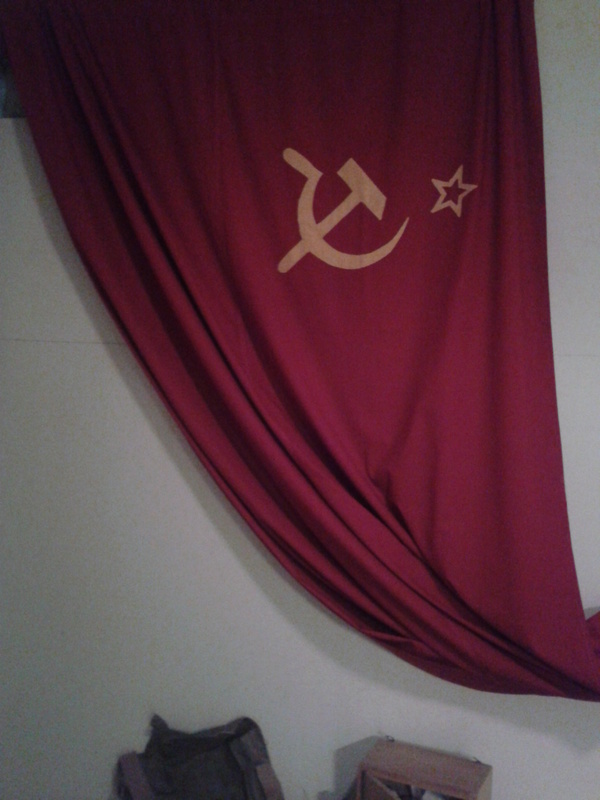 Upon entering the first space, I faced a red socialist banner with a picture of former Czechoslovak President Antonín Zápotocký, who had influenced the design of the hotel. I cringed. Zápotocký had helped establish the Communist Party of Czechoslovakia back in 1921. He was the country’s Prime Minister from 1948 to 1953, taking over the position after the Communist Coup in February, 1948. That was when Klement Gottwald became the first Communist president. Zápotocký took up the presidential post after Gottwald’s death in 1953 and served in that capacity until 1957. The leader of the country during the harsh 1950s, Zápotocký really played second fiddle to hardliner Antonín Novotný, who was the First Secretary. Zápotocký had a chilling past. He had spent time in the Sachsenhausen concentration camp during World War II. When he was released in 1945, the Dutch accused him of war crimes, claiming that he helped execute their citizens during World War II. On the wall to my right, I scanned a poster featuring various Communist propaganda writings about Czechoslovakia. I think I would have gone crazy if I had had to listen constantly to all that socialist advertising with all those empty phrases. On another wall there were copies of posters from totalitarian days. Of course, they all celebrated and glorified socialism, announcing “Socialism for a better life” and similar slogans. One poster advertised the 15th anniversary of the Pioneers’ youth organization that had an emphatically Soviet slant. I wondered how children had felt about being sent to Pioneers’ camps. Did they accept the socialist preachings as part of their lifestyle and tradition, or were they disgusted with this athletic mouthpiece for the Communist regime? The guide then showed me an entrance to a tunnel that leads to some place on Wenceslas Square, but no one knows exactly where. Another tunnel was connected to an adjacent building. 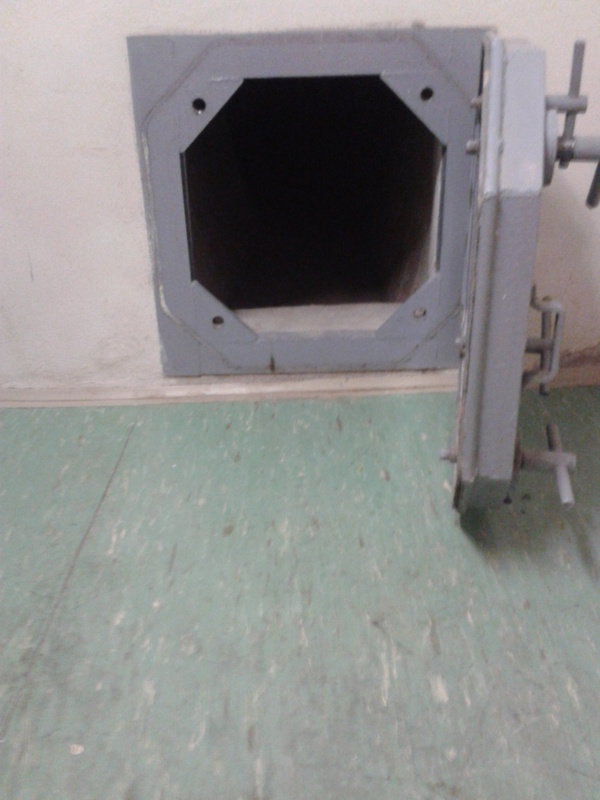 I felt claustrophobic enough in the bunker itself. There was no way I could have ever crawled through one of those tunnels, even if my life had depended on it. 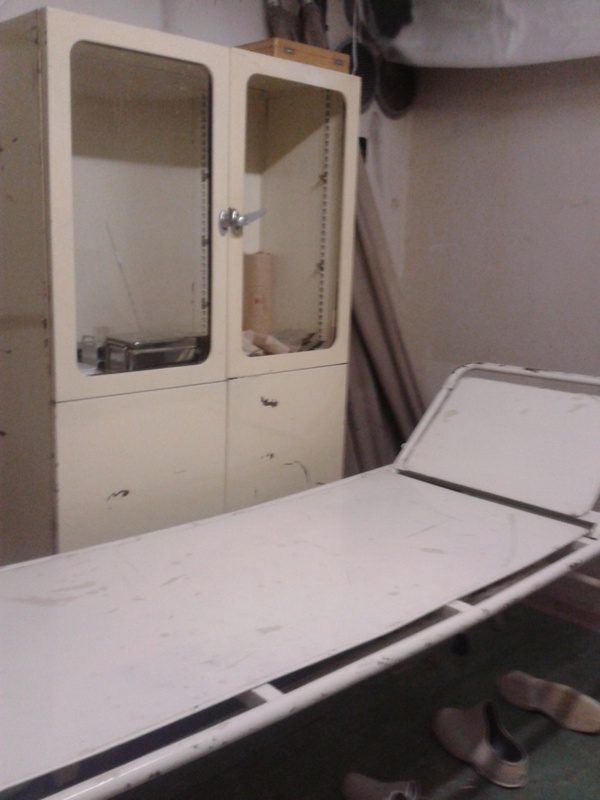 After passing through a small medical examining room, we came to a section dominated by a mannequin dressed in the uniform of a Communist border control guard finding smuggled jewelry in a suitcase he has opened. I realized that, as a child, I had thought of people living behind the Iron Curtain as mannequins, as people without souls, unable to feel joy or pain. I had been a big fan of the TV sitcom Get Smart that featured a bumbling American secret agent battling wits with the KGB. Back then, when I was about eight years old, my world had been black-and-white. The Americans were the good people. Russians and other nationalities living in totalitarian countries were the bad people. As a child I had viewed the lands behind the Iron Curtain as eternally covered in a thick mist that was impossible to see through. It did not occur to me back then that people in Communist countries experienced the same feelings that all people do – they fell in love, sobbed hysterically, smiled brightly, laughed heartily. Back then I did not realize that some Czechoslovak citizens had joined the Communist Party out of fear. What if they wanted to send their children to university? What if they were blackmailed? As a kid, I had yet to learn that there were a lot of gray areas. Still, I now know that a lot of Czechs and Slovaks had not joined the Party despite the consequences. Those were some of my heroes. The guide put a 1950s-era machine gun in my hands. It felt heavy and awkward. I could not imagine shooting anyone, ever. I could not even imagine owning a gun. I recalled the first and only time I had gripped a real pistol. I had been studying theatre in Vermont, and my classmate Steve and I were practicing a scene from a play by American playwright Sam Shepard. Steve had brought his gun to the classroom so I could use it as a prop. It felt so heavy, and my hands got clammy when I held it. A small bust and a portrait of first Communist Czechoslovak President Klement Gottwald decorated the room. In the portrait Gottwald looked like a loving father and husband, smoking a pipe, seemingly such a gentle, kind man proud of his family. But anyone who has studied Czechoslovak history knows that Gottwald was far from kind. He orchestrated the Communist coup of 1948 that made the last democracy in Eastern Europe into a totalitarian country. After the war Czechoslovaks wanted solid ties with the Russians, who had liberated them. However, the Communist members of government became ruthless in their control of the police and security forces. The nonCommunist ministers resigned, certain that the democratic President Edvard Beneš would be able to create a new government that would exclude the Communist Party. Their strategy failed. Instead, Communists reacted violently. Since the Army was controlled by a Communist General, there was no way to stop the brutal attacks unleashed by the Communists, who even beat students advocating democracy in a protest in the Lesser Quarter’s Nerudova Street. Then Prime Minister Gottwald threatened President Beneš that he would engineer a general strike and nonCommunists would be punished if Beneš did not sign the Communists’ proposal for a new government. Beneš succumbed to Gottwald’s pressure. Under Gottwald’s presidency, Soviet Union Prime Minister Joseph Stalin called the shots, and Czechoslovakia carried out the largest show trials in Eastern Europe. From 1949 to 1954, Communists and nonCommunists were tortured and executed for crimes they did not commit. Military leaders, Jews, Catholics, democrats –they all became victims in this horrific display of injustice. Over 180 people were executed in these trials that were scripted and rehearsed. One victim of this terror was democratic politician and resistance leader Milada Horáková, executed in 1950 for allegedly planning to overthrow the regime. The international community was irate over her execution. Yet the trials were not restricted to those supporting democracy. High-ranking Communist officials were purged, too. Communist official Rudolf Slánský was made a scapegoat, accused of high treason and espionage and labeled a Titoist, someone who supported the Marshal Josip Broz Tito-led Yugoslav government, which did not adhere to the dictates of the Soviet Union. Slánský was tried with 13 others and sentenced to death in 1952. His ashes were scattered at a construction site near Prague. Back to the exhibits. A display on one wall described the responsibilities of the Czechoslovak border guards. The pictures showing dead bodies sprawled near the electric fence that delineated the border of the country deeply affected me. Those brave people had been mere meters from freedom when they were gunned down. I marveled at how much courage it took to try to escape. I wondered if I would have had that much courage. Probably not. These people were heroes. They died for freedom. The freedom to have your own opinions and make them heard. The freedom to be whoever you wanted to be, to live the life you chose rather than one that was chosen for you. These are only a few of the things I had taken for granted until I moved to Prague in 1991. 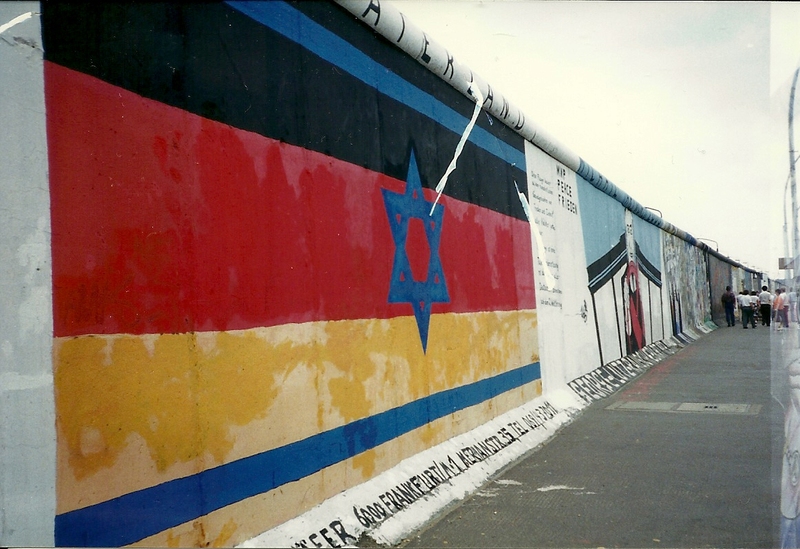 The pictures also brought back memories of my visit to the Berlin Wall in 1991, when I was fresh out of college. I recalled how being so physically close to the Wall made me realize that it was much more than a physical barrier between two drastically different worlds. I thought about people who had risked their lives trying to get over that Wall. I recalled the November 9, 1989 TV footage of Germans scrambling over it when East Germans were granted the right to visit West Germany. Still, until I came face-to-face with the Wall, those TV images remained mere images. When I saw the Wall for myself, those images became real. I could see the people climbing higher and higher to the very top, reveling in the ecstasy of experiencing freedom for the first time. 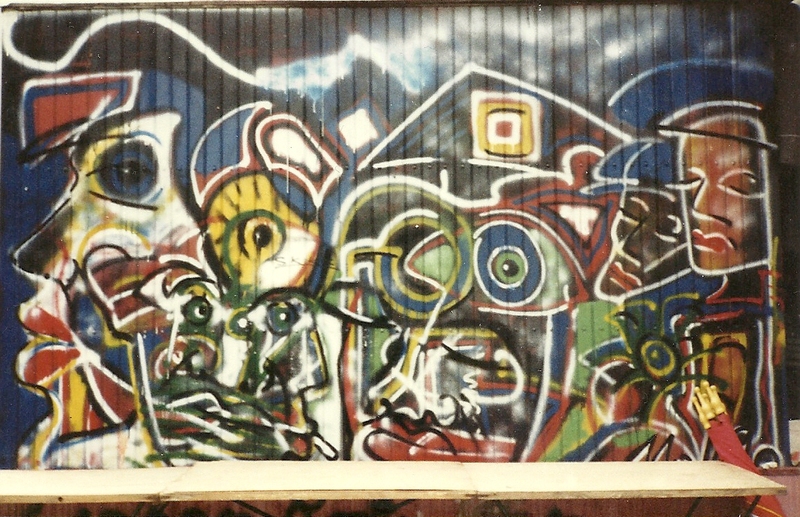 The art gallery on one section of the wall transformed it into a vibrant and dynamic celebration of color that made poignant statements about society and the value of freedom. Still engrossed with the pictures of the fallen near the electric fences, I also pondered over stories Czech acquaintances had told me. One waiter at a restaurant I had frequented told me how he and his brother had planned to escape. However, when he showed up at the agreed meeting place, his brother was not there, so he went home. Later, he found out that his brother had escaped a day earlier without telling him. Another acquaintance was punished for his brother’s defection to America. The authorities confiscated his spacious flat in Vinohrady and gave him an efficiency apartment in a district far from the center. He became so desperate to escape that he tried to hijack a plane to take him to the West. Because there were always Secret Police agents on flights, he was quickly apprehended and imprisoned. 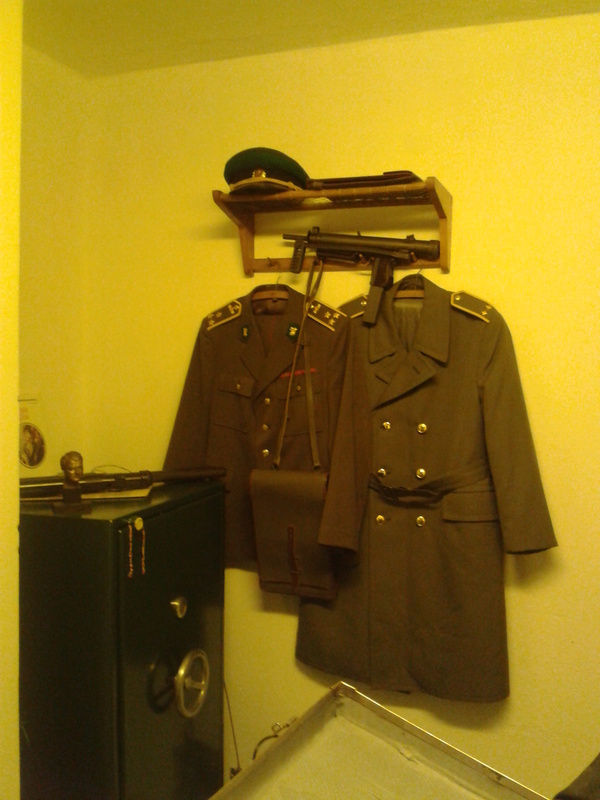 The next room was decorated with various uniforms of the border guards from the 1980s. There was an old tape recorder, a megaphone, a shield and a helmet – I wondered if these very items had been used when the police beat demonstrators on National Avenue during the 1989 Velvet Revolution. A portrait of President Gustáv Husák was prominently place in the room. Husák had been president during the rigid Normalization era that had followed the Soviet invasion. The tanks rolling into Czechoslovakia’s capital on August 21, 1968 had put an abrupt halt to the Prague Spring that had brought liberal reforms to the country. For two decades Husák controlled the country with an iron fist, fiercely loyal to the Soviet Union. After the invasion Husák had felt no mercy for the reformers. As First Secretary of the Party in 1969, he also purged Communists who had supported a more liberal stance during the Prague Spring. Husák became President of Czechoslovakia in 1975. During the 1970s and 1980s, dissidents were even more oppressed, often arrested and imprisoned. He also punished people who did not believe in adhering to the principles of Communism by forbidding them to get a higher education or not allowing them to travel abroad, for instance. Many people lost their jobs. The Communist Party kept track of the activities of all citizens, following them and persuading citizens to denounce each other. Czech and Slovak culture suffered horribly during Husák’s tenure. Coincidentally, Husák had served time himself. He was imprisoned during World War II for promoting Communism, which was illegal at that time. Then in 1950, when the high-ranking Communists and others were purged, he was ordered to spend the rest of his life behind bars. Later, in 1963, Husák had been allowed to join the Communist Party again. He resigned November 24, 1989 when the Presidium of the Communist Party left their posts, defeated by democracy. Husák was expelled from the Communist Party in 1990 and died in 1991. But I was not only thinking about the crimes of the Czechoslovak government during the dismal 1970s and 1980s. The old-fashioned tape recorder brought back memories of an entirely different nature. It reminded me of my own tape recorder, the one I used as a teenager to do interviews with members of the Washington Capitals, when I dreamed of becoming a journalist. What a different world I had lived in during the 1980s! And I had taken it as a given that my writing would not be censored. While the hotel was never used as an anti-nuclear bunker, the Secret Police did take over the rooms during four decades, the guide reminded me. A large switchboard showed how they had set up a listening post to eavesdrop on hotel guests’ and employees’ conversations. During the 1970s, the Secret Police also had eavesdropped on conversations in West Germany’s embassy, then situated in the same building. A display case showed brushes for shoes and clothes and other items where the bugs in the hotel rooms had been placed. The guide played a taped English conversation between a Czech resident of Prague and an Austrian who was in Prague to enjoy the city without his wife. The Austrian asked the Czech advice about where to find a prostitute, and the Czech told him he would have to pay in Western currency. I remembered the days of the early and mid-1990s, when Czechs had always wanted dollars rather than crowns. I had to pay my rent in dollars for several years. Since then the dollar had taken a turn for the worst, and the exchange rate was no longer 40 crowns to one dollar but rather around 19 crowns per dollar. I thought about how paranoid I would have been if I could not speak openly in my own house. A former dissident whose house had been bugged once told me that the authorities had been able to listen in on his conversations, but they could never take away what he believed in his heart. I was musing about that when the tour ended, and the guide led me back upstairs to the lobby. I walked onto the large square, relishing the beautiful feeling of freedom. I would go home to an apartment that was not bugged and would write an article that would not be censored. And for that I am forever thankful.